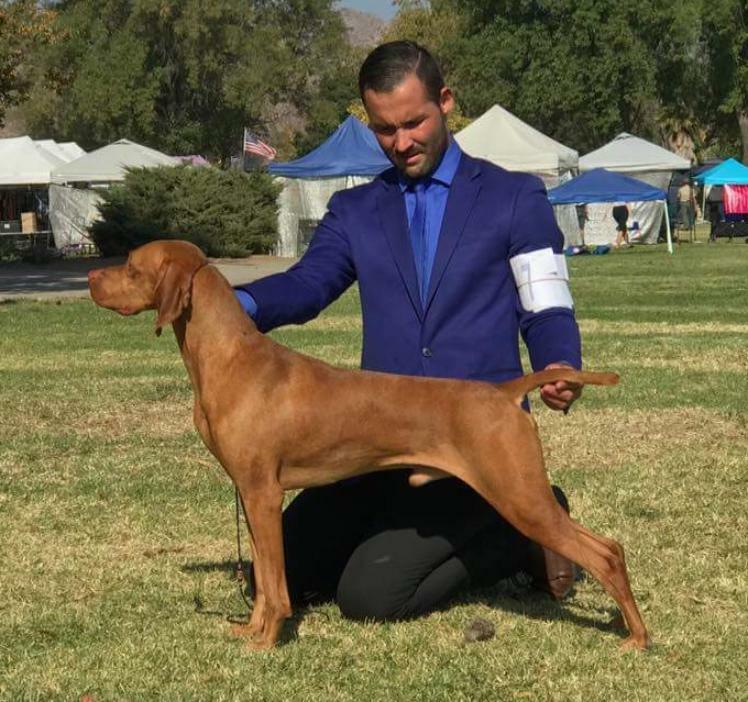 Luke - GCHG CH Russet Leather Stormwinds Kizmar High Noon, #4 Vizsla in the Country - 2017, #7 All Breed - 2017, Group Winning, Multiple Group Placing, Multiple Best Of Breed, Multiple Award Of Merit. 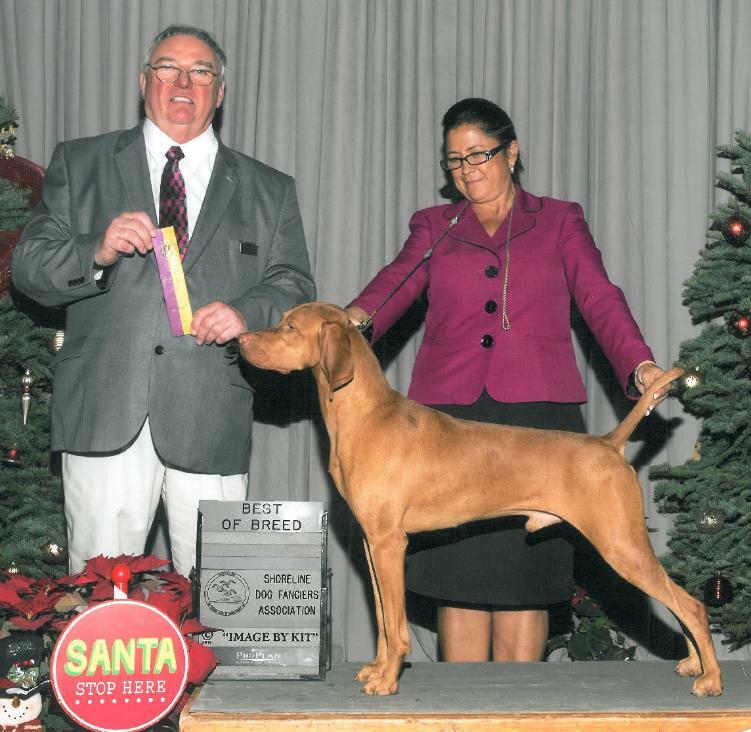 12/14/2017 AKC REPORT, #5 VIZSLA GRAND CHAMPIONSHIP RANKING - 200 POINTS! 2017 Standings, #7 All Breed, #4 Breed, 1x Group 1, 3x Group 3, 1x Group 4, 57x Best Of Breed! Rio Vista CA, handled by Kirsten Schick & team. Luke earned his JUNIOR HUNTER TITLE getting 4 straight passes of 9's! 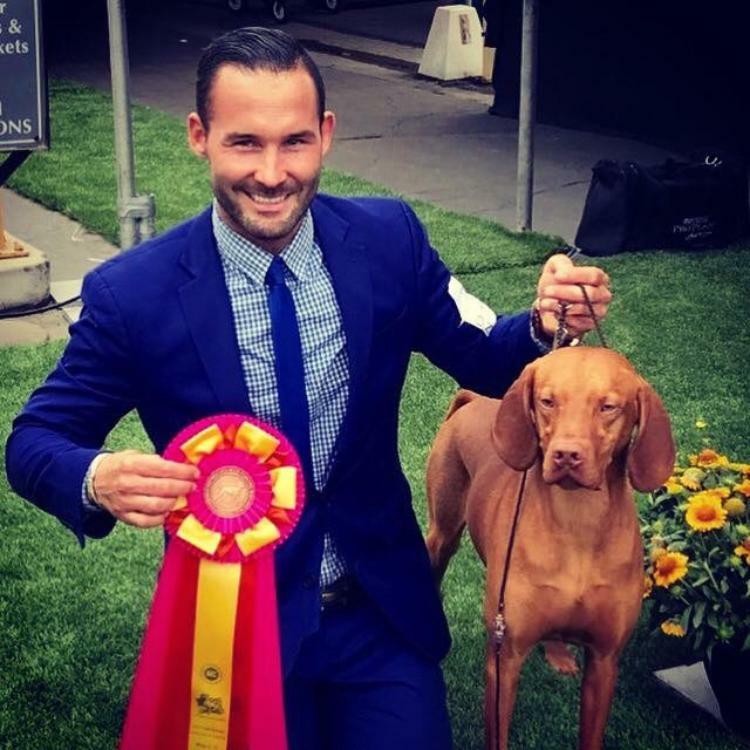 AKC Registration #: SR82833802 DOB: April 30, 2014 DNA #: V753441 OFA Hips: VZ-14544G25M-VPI "GOOD"
October 17th, 2018, Luke on his First Point! Training with Kirsten Schick & team.